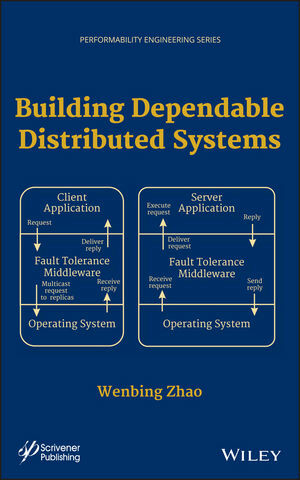 This book covers the most essential techniques for designing and building dependable distributed systems. Instead of covering a broad range of research works for each dependability strategy, the book focuses only a selected few (usually the most seminal works, the most practical approaches, or the first publication of each approach) are included and explained in depth, usually with a comprehensive set of examples. The goal is to dissect each technique thoroughly so that readers who are not familiar with dependable distributed computing can actually grasp the technique after studying the book. The book contains eight chapters. The first chapter introduces the basic concepts and terminologies of dependable distributed computing, and also provide an overview of the primary means for achieving dependability. The second chapter describes in detail the checkpointing and logging mechanisms, which are the most commonly used means to achieve limited degree of fault tolerance. Such mechanisms also serve as the foundation for more sophisticated dependability solutions. Chapter three covers the works on recovery-oriented computing, which focus on the practical techniques that reduce the fault detection and recovery times for Internet-based applications. Chapter four outlines the replication techniques for data and service fault tolerance. This chapter also pays particular attention to optimistic replication and the CAP theorem. Chapter five explains a few seminal works on group communication systems. Chapter six introduces the distributed consensus problem and covers a number of Paxos family algorithms in depth. Chapter seven introduces the Byzantine generals problem and its latest solutions, including the seminal Practical Byzantine Fault Tolerance (PBFT) algorithm and a number of its derivatives. The final chapter covers the latest research results on application-aware Byzantine fault tolerance, which is an important step forward towards practical use of Byzantine fault tolerance techniques. Wenbing Zhao received his PhD in electrical and computer engineering from the University of California, Santa Barbara, in 2002. Currently, he is an Associate Professor in the Department of Electrical and Computer Engineering at Cleveland State University. Dr. Zhao has more than 80 academic publications to his credit, and three of his recent research papers in the area of dependable distributed computing have won best paper awards. Dr. Zhao also has a U.S. patent on consistent time service for fault-tolerant distributed systems.